After Baltimore descended into chaos, remember that Gov. Martin O’Malley was so proud of the anti-gun law he got enacted into 2013. We have seen that Baltimore police did not or could not defend people – and O’Malley’s law makes it far more difficult for citizens to acquire the means to defend themselves. 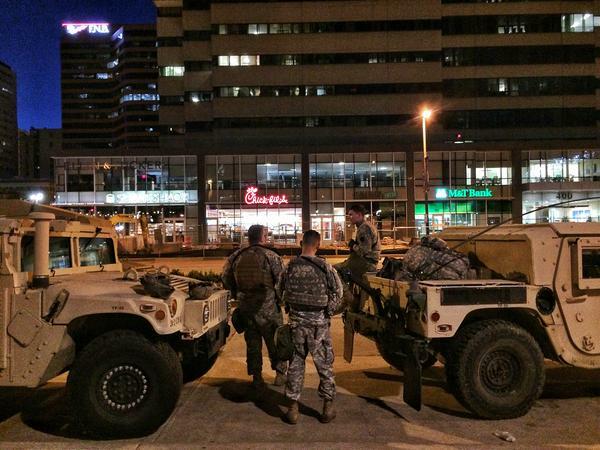 And here’s a truly sad photo of what Baltimore is tonight – “boots on the ground” at Inner Harbor – in lieu of the throngs of baseball fans and usual customers. Lawhobbit, I have seen some snappy photos of folks outside of Baltimore bars or liquor stores holding either big sticks or large swords. As far as I know, the Baltimore mayor has not yet ordered them to “stand down.” And I’m not sure what orders she gave to the police for the rampage on Saturday and the riot yesterday – but I hope we find out…. Those “Just Kids” are learning that they can burn and loot with impunity. They have destroyed the businesses and livelihoods of hardworking people and in all probability will not even spend any time in jail, let alone be required to reimburse those who livelihoods they have destroyed. I wonder just how many of those business will be rebuilt? If the owners are smart they will relocate to places where law and order still mean something. Maybe these “Just Kids” plan on becoming cops. Anyone who finds lashing out at others, leaving a trail of death, destruction and general mayhem would certainly enjoy becoming a cop where impunity is part of the benefits package. It would also mean they are hypocrites, but wait…so are most cops! Tom, it is perplexing to see some people interpret the riots as proof that politicians need more power – to achieve social justice or whatever. 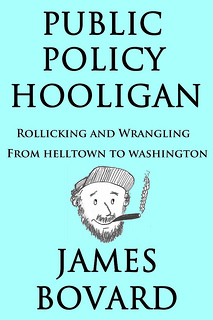 It was the politicians who wrote the laws that gave Maryland police the power to kill with little or no risk of being prosecuted – or even vigorously investigated. And it was politicians over the past week whose actions and orders resulted in justified protests being overshadowed by looting and burning. City dwellers must learn the hard way that putting their full trust in the political system to keep them and their property safe is a bad idea when political calculation yields the conclusion that rioters count more than others. An approaching tide of gleeful destructionists would scatter instantly if but one property owner skipped a few loads of goose shot off the pavement in their direction. Destruction and disorder will likely rise as long as property owners fear political lynching tomorrow more than they fear the loss of their property or lives, today. Call me old fashioned, but seeing soldiers outside, without headgear, is like fingernails on the blackboard of my spine. Outweighed only slightly by the sight of troops having to keep order (or try to) in an American city. I expect they would have plenty of warning if they needed to put their helmets on. No risk of getting hit by a home run from Camden Yards since the baseball games were scuttled.